At 22 years old anti-aging is not the first benefit on my mind when shopping for skincare products, so I was pretty shocked when Shaklee reached out to me about their anti aging line called "Youth". 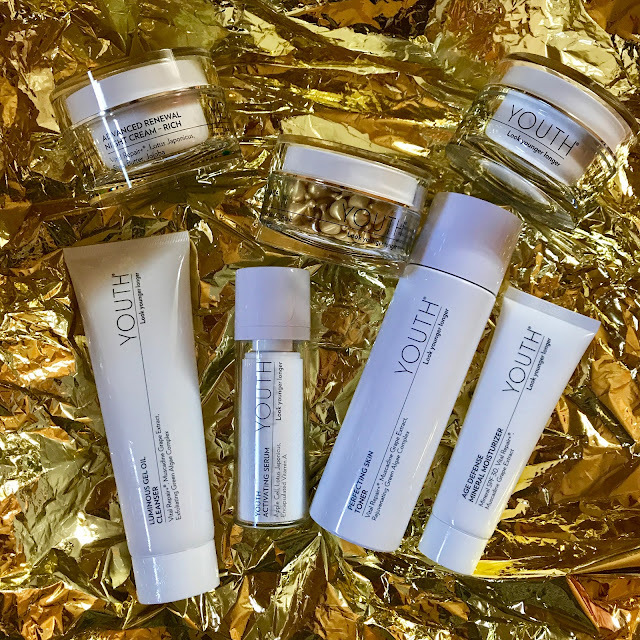 Before I tested the line I had the opportunity to ask their Global Ambassador, Sloan Barnett a few questions about why natural anti-aging products are so important to someone close to my age. At what age should women begin looking into and using anti-aging products? It is not too soon to begin using an anti-aging regimen in your 20's! The best thing you can do at this age is to prevent wrinkles and key signs of aging from appearing. The best way to do this is to protect your skin from the sun everyday with an Spf-30 broad spectrum sunscreen system, like our YOUTH Age Defense Mineral Moisturizer SPF 30. In addition, preventing free radicals from damaging your skin and causing premature aging is key! All of our YOUTH products contain our patented Vital Repair+ Complex and patent-pending Muscadine Grape polyphenols to prevent this damage from occurring! Plus, our Radiance C+E Capsules contain 20% pure vitamin C, arguably the best antioxidant in the industry. 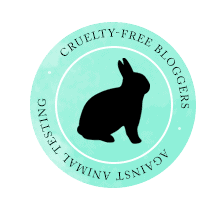 For about as long as I have been aware of buying strictly cruelty free products I have been searching high and low for a good cruelty free nail polish. I'm picky, before learning about how awful animal testing I stuck to one "designer" brand of nail polish, and would rarely stray. 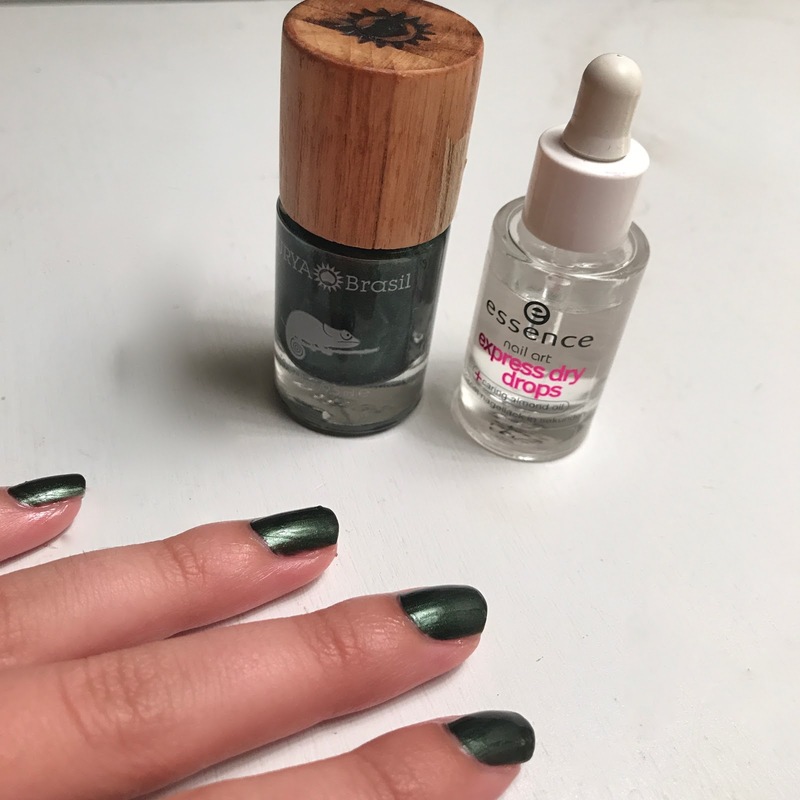 Surya Brasil reached out to me a few weeks ago and asked if I would like to give their nail polishes a try. When I first opened the box I was so impressed with the packaging, each bottle features an exotic animal, I received chameleon, coral snake, wolf, and narwhale. These polishes are 7-free, meaning they do not contain camphor, formaldehyde. DBP, parabens, toluene, or animal products.